Movable Type Podcasting :: Movable Type Extra Facilities :: PRO IT Service S.R.L. - Choose a professional and accessible service for your online image! During the last couple of years more and more bloggers started to embed video or audio files on their Web sites. We are calling this podcasting. In an effort to help our customers easily embed video and audio files within their Web sites, we've built up a special technique for the Movable Type publishing platform. Basically, the blogger simply uploads the video or audio file and through this podcasting feature we've developed, Movable Type will automatically insert a player of your choice on the article Web page published online so that your visitors could visualize/listen to your podcasting. You are free to choose the video or the audio formats in which you would like to activate the podcasting feature, as well as your preferred player. We will be very glad to provide you a couple of potential solutions to choose from. For the video player, you may like to adopt a simple and nice player, which among a series of nice features, allows also full screen preview. When it comes to the audio player, you may like to choose a simple solution which to basically play.mp3 audio files or you may like a more complex solution, where you could display more information for each .mp3 audio file to be played (such as say: author/artist, logo etc.). 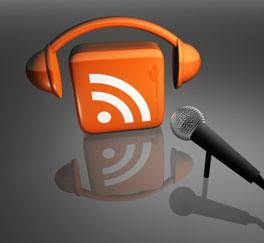 No matter if you decide to incorporate on your Movable Type articles audio or video files which to be player by your audience and no matter what player you will choose, podcasting is defined as the syndication of audio files using RSS (RSS stands for "Really Simple Syndication", "Rich Site Summary" or "RDF Site Summary"). Podcasting works the same as a standard RSS feed reader or news aggregator, the only difference is that the feed you subscribe to contains an audio file in it. Instead of reading content in your RSS feed reader or aggregator, you can listen to the contents of your feed using a reader or aggregator that supports podcasting, or you can listen to them on an iPod or similar device. While podcasting was named for the iPod, you do not have to have an iPod to listen to a podcast. Podcasts can be displayed on websites with clickable links to audio files and many of the standard RSS readers, like FeedDemon's latest beta, have begun supporting audio enclosures. In addition, obviously, the RSS Feeds are containing the podcasting files enclosures for people to be able to view the podcasts in various tools such as iTunes. We are also recommending and allowing our customers to have us automatically display on their articles a download URL for the podcasting audio or video file in case they want their audience to be able to view the movie also offline at a later time. Isn't it so convenient to start podcasting when you don't have to bother about players or technical stuff? You just use the file upload Movable Type tool, upload the file to the server, eventually provide some custom details for iTunes (see the list above) and surprisingly the player and a download text link are automatically embedded on your articles online. If you want us to implement this feature for your project, get in touch for a quote. 1. Do you want to publish one audio podcast per article (or if you publish multiple ones, you don't intend to display them in a playlist)? In this case we will code the automatically display of a player of your choice, the enclosure on the RSS Feed, and optionally also the automatic display of a download link for the source audio file(s) (typically in .mp3 format). 2. Maybe you would like to display one or more players containing multiple mp3 files each (playlists)? In case you would like to integrate a single player containing multiple mp3 files within a movable type article you're publishing, we will have a code a special section for you where you could upload multiple mp3 files and assign them to group them by playlist. Then, you will just have to copy and paste a piece of code for that playlist within your movable type article content. No technical knowledge at all, everything is self explanatory and also documented by us when delivering this feature to you. Obviously, apart for the multiple songs player of your choice, we will also code your RSS Feed so that it includes all the songs from your playlist, as well as optionally the download link for each and every one of them. 3. What about being able to publish both one single mp3 per player, but sometimes multiple mp3 in a player using a playlist? We believe that to exist, the world should be flexible and as a movable type consultancy so we are. At your request, we could also facilitate you to be able to display both player(s) with single mp3 files per player, as well as one or more players with playlists. 4. What about publishing video podcasts? As with the audio podcasts, here the same discourse apply. wanting to publish one single video player which to feature multiple videos (here we need to also code a playlist facility which to allow you to play multiple videos using one single player; can have multiple players using playlists per article). Are you getting tired of so many details? Don't get scared! Just get in touch and we will clarify what your specific needs are and so we will assure the lowest quote appropriate for your project very specifications. In case you are a geck, we felt like mentioning below a few details about the most popular audio and video file formats used for podcasting. AVI stands for "Audio Video Interleave" and is a multimedia container format introduced by Microsoft in November 1992 as part of its Video for Windows technology. AVI is a special case of the RIFF <Resource Interchange File Format> and is the most common format for audio/video data on the PC.). FLV stands for "Flash Live Video" and is the name of a file format used to deliver video over the Internet using Adobe Flash Player (initially produced by Macromedia) versions 6 to 10, currently acquired and produced by Adobe. GVP stands for "Google Video Pointer/Playlist" and contains the location of a Google Video (.GVI) file on the Internet, but it does not contain the actual video data. MOV stands for "Apple QuickTime Movie" and is a common multimedia format often used for saving movies and other video files. It uses a proprietary compression algorithm developed by Apple Computer; compatible with both Macintosh and Windows platforms. MP4 stands for "Moving Picture Expert Group-4" or simply "MPEG-4" and is the global multimedia standard, delivering professional-quality audio and video streams over a wide range of bandwidths, from cell phone to broadband and beyond. It supports all kinds of multimedia content (multiple audio streams, video streams, subtitle streams, pictures) and advanced content (called "Rich Media" or "BIFS") like 2D and 3D graphics, user interactivity, DVD-like menus. RM stands for "RealMedia Streaming Media" and is a multimedia container format created by RealNetworks. It is typically used in conjunction with RealVideo and RealAudio and is popular for streaming content over the Internet. WMV stands for "Windows Media Video" and is a compressed video file format for several proprietary codecs developed by Microsoft. The original codec, known as WMV, was originally designed for Internet streaming applications, as a competitor to RealVideo. This WMV file format is based in ASF (Microsoft Advanced Systems Format) that wraps a video bitstream. AAC stands for "Advanced Audio Coding", officially part of the "MPEG-4" standard and is a standardized, lossy compression and encoding scheme for digital audio. Designed to be the successor of the MP3 format, AAC generally achieves better sound quality than MP3 at many bit rates. Examples include a higher coding efficiency for both stationary and transient signals, a simpler filterbank, and better handling of frequencies above 16 kHz. It maintains quality nearly indistinguishable from the original audio source. AA stands for "audio files sold by Audible.com" and is commonly used for downloadable audio books. AIF or AIFF stands for "Audio Interchange File Format" and is a file format used by Macintosh computers and Silicon Graphics Incorporated to store and transmit high-quality audio data such as music. MP3 stands for "Moving Picture Expert Group-1 Audio Layer-3" or simply "MPEG-1 Audio Layer-3"and is the most common audio formats used for podcasting. OGG stands for "Vorbis Codec Compressed Multimedia File" is a standard introduced by the Xiph.Org Foundation and represents an open standard container format used to provide more efficient streaming and higher quality presentation. When using the ogg file format, a decent sampling rate is around 96kbits, a 96kbit ogg file is comparable to a 160kbit MP3 file. The compression is much better, allowing smaller file sizes and better quality files. RA or RAM stands for "Real Audio" and is a proprietary audio format developed by RealNetworks. It is usually used as a streaming audio format that is played at the same time as it is downloaded. Many internet radio stations (like BBC and VOA) use RealAudio to stream their programming over the internet in real time. WAV or WAVE stands for "Waveform audio format" and is a Microsoft and IBM audio file format standard for storing an audio bitstream on PCs. WMA stands for "Windows Media Format" and is an audio file format developed by Microsoft (www.microsoft.com), the maker of Windows Media Player. According to independent testing, WMA sounds as good as MP3 at half the bit rate and therefore half the file size.